I have an existing Friedland / Response wireless 868MHz alarm system. Can I add the new Honeywell accessories to my alarm system? 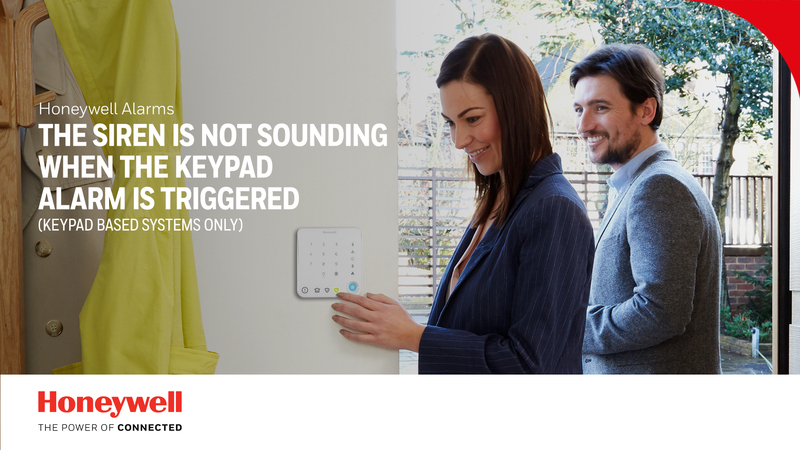 Yes, the Honeywell Home accessories - for example wireless motion sensors (PIR), door and window sensors, remote control key fobs, and all Sirens are backwards compatible with your existing Friedland / Response 868MHz alarm system. I want to purchase a new Honeywell wireless home alarm system. Will my existing Friedland / Response accessories work with your new system? 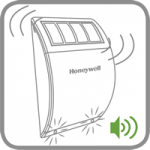 Yes, all new Honeywell Home wireless home alarm systems are backwards compatible with the old Friedland / Response 868MHz wireless motion sensors (PIR), remote controls, Battery Sirens, and Solar Sirens. Note: The old Friedland / Response 868 MHz Door and Window sensors are not compatible with the new Honeywell Home wireless home alarm systems. In addition, the new Honeywell Home home alarm systems are not compatible with Friedland / Response 433MHz systems and accessories. I have an existing wired alarm system. Can I upgrade to a wireless alarm system? Yes, Honeywell Home offers a range of wireless home alarm systems and compatible accessories that will allow replacement of an old system. However, your existing wired alarm accessories will not be compatible with Honeywell Home's wireless home alarm system. Please click on the 'Alarms' section above to view the products available in your country. 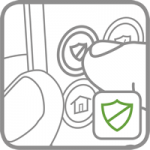 Which Honeywell Home Alarm Kit fits best with my home? 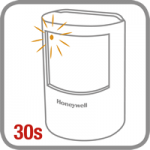 Honeywell Home offers 3 types of alarm kits for homeowners: Quick Start Alarm Kits, Apartment Alarm Kits, and Home Alarm Kits. To find out more about each type of kit, please click on the 'Alarms' section above. Can I purchase additional accessories for my system? 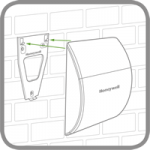 Dummy Sirens and Security Window Stickers can be added to any alarm system. Where can I purchase additonal accessories? Please click the 'Where to Buy' link at the top of this page to find out where you can purchase additional accessories in your country. 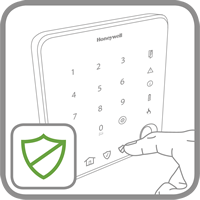 What other devices or accessories are compatible with Honeywell Apartment Alarm Kits and Home Alarm Kits (Keypad-based alarm systems)? 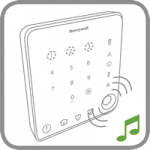 Wireless Push Button: The keypad can act as a doorbell to alert you when the push button is activated. 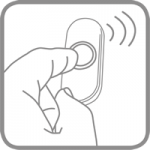 Doorbell: After an alarm is activated by the keypad, any linked doorbell in the home will also initiate an alarm sound to extend the alert within the home. Can I use more than one Remote Control to operate the alarm system? Yes. 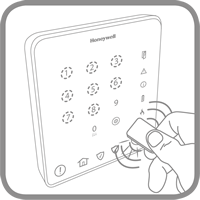 Honeywell Home's Quick Start Alarms (Siren based alarms) support up to 6 remote control key fobs. Apartment Alarm and Home Alarm Kits (Keypad-based alarms) support up to 5 remote control key fobs. I want to be informed if someone is approaching my front door or entering my driveway. Can my Honeywell Alarm System alert me? Yes. Honeywell Home offer an waterproof outdoor motion sensor (L430x) that can be linked to any Honeywell Home Home Alarm system with a keypad. 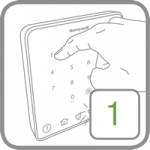 The keypad will produce an alert sound whenever the outdoor motion sensor is triggered. Please visit the Accessories Section to view this product. Can I use more than one Siren with the same Keypad? Yes. This will allow you to place Sirens in distant parts of the property outdoors. Is there an alternative option to the Wireless Battery Siren supplied with my system? 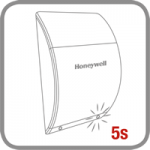 Yes, the Wireless Solar Siren (HS3SS1x) is compatible with all Honeywell Home Home Alarm systems. I have a big house and worry I won’t be able to hear the alarm from the Keypad. Is there a way to link additional internal sirens within the home? Yes. 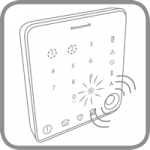 Honeywell Home offer a range of Wireless Doorbells that are compatible with the Keypad to extend the alarm sound within the home. The doorbell can be placed anywhere in the home, and when the alarm is triggered on the Keypad, the Doorbell will function as an additional internal siren by repeating the same alarm sound. 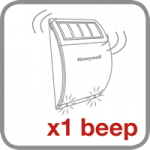 Do the Honeywell home alarm systems have any visual alerts or indications? 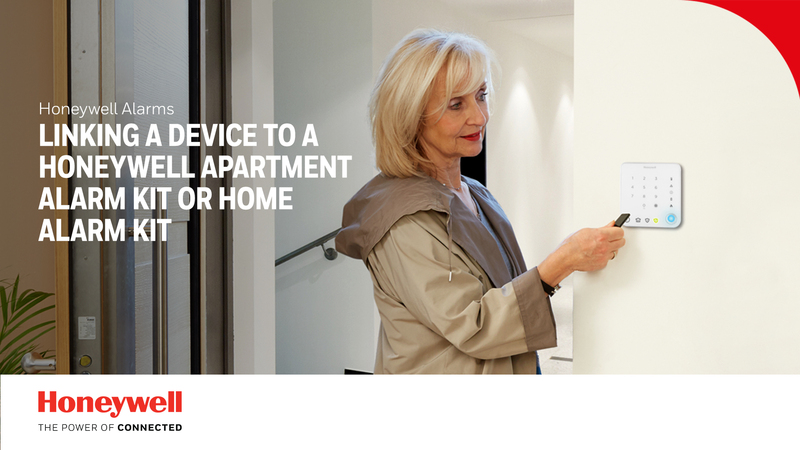 Yes, Honeywell Home home alarm systems offer both audible and visual confirmation when learning new devices. The wireless battery and solar sirens also have 2 LEDs which flash alternately every 5 seconds to function as a 24/7 deterrent. 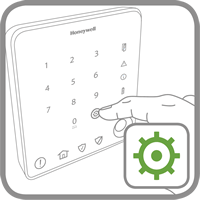 The keypad has a variety of visual indicators, for example icons flashing, depending on the scenario. Low battery indicators are built into all battery powered devices. Why do you not make alarms with higher volume levels? 95-105dB is already extremely loud. At these levels, if the Keypad or Siren is placed near a person's ear, permanent hearing damage can occur. 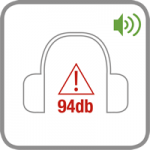 This is why Honeywell Home always recommends that you use suitable ear defenders when installing and configuring your Honeywell Home home alarm system. Higher volume levels than these are considered unsafe. Does the HS3DS1x Dummy Siren come with any visual indicators or sound alerts? No. The Dummy Siren does not come with LED indicators or sound alerts. It is intended purely as a visual deterrent for potential intruders. What does the ‘fire’ icon on my keypad mean? 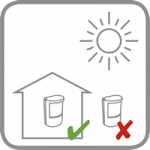 This icon is used to indicate if any optional linked Honeywell Home Wireless Smoke/Carbon Monoxide Sensors are activated. These accessories are currently not available. Do I need to purchase any batteries? No. 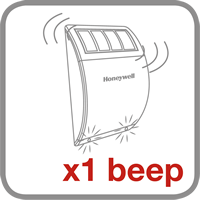 All Honeywell Home home alarm kits and accessories are supplied with batteries installed inside the device with a battery isolation tab fitted, along with all required fixings. Can I install my sensors outside where it gets wet? No. The wireless motion sensors and wireless door and window sensors supplied with your Honeywell Home home alarm kit are only suitable for dry internal use. The exception to this are the wireless sirens, which are suitable for outdoor use. In addition, waterproof external motion (PIR) sensors are available as an accessory. Do you provide wall fixings with all alarm kits and accessories? 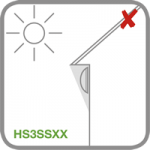 For fast installation, the wireless door and window sensors and wireless motion sensors are supplied with sticky pads. 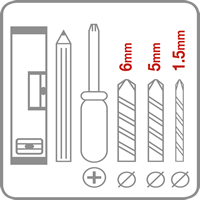 All devices are however supplied with combination head type fixing screws. The fixings for the keypad and siren are screws and plugs intended for solid walls. If the construction of the wall is different then you may need to source suitable wall plugs. Do I need to link the devices in the kit to make it work? No. All alarm kits are supplied with the devices pre-linked together. You only need to follow the quick start guide supplied to install and operate the system. What should I do if a wireless motion sensor is not detecting any movement after it has been installled? 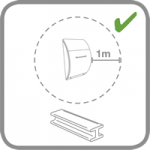 Allow up to 2 minutes for the wireless motion sensor to stabilise and become fully operational. Please leave the room during this period. One of my sensors is not communicating with my Honeywelll home alarm system. What could be the issue? Are the batteries low or flat? If you have recently replaced the batteries, have you replaced them using the correct battery type and orientation? Is the sensor mounted within operating range of the keypad? You might need to install them closer to the keypad. Is the door made of PVC? PVC doors and windows are often a problem. They have metal reinforcement and this will shield or totally block the transmitted signals. 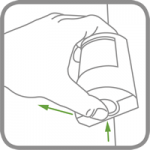 Metal items such as radiators, mirror backing or foil backed plaster board situated between the transmitter (sensor) and the receiver (keypad or siren) can block the signals. Please note that the operating distance of the sensors and other devices is reduced by the materials the wireless signal has to pass through. For example, internal walls may give around 20% reduction but this depends on the make up of the wall itself. The effect on the range of multiple walls is cumulative. For example, if there are 2 walls in the way, the range will potentially be reduced by up to 40% by each wall. Please refer to the table below for the attenuation characteristics of different types of materials. Where is a suitable place to install the solar siren? As the solar siren needs sunlight to recharge the battery, it is best to avoid shady areas and install it in a place where it can get plenty of sunlight. The solar siren needs a LUX level of approximately 4900 and above for it to recharge effectively. 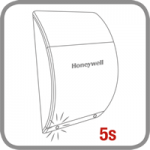 Where is a suitable place to install the Honeywell wireless motion sensors? 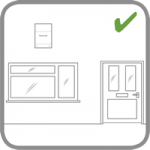 Wireless motion sensors can be installed in any room within the premises in range of the alarm system. Does it matter which side of the wireless door and window sensor the magnet is mounted on? 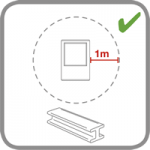 No, but Honeywell Home recommends that you mount the sensor (big part) on the fixed frame of the door or window, and the magnet (small part) on the window or door itself. After the sensor has been installed with the keypad, open that door/window, wait a few seconds, then close again. This should set correctly the 'open/close' status of the door or window at the keypad. Which orientation should I use to install the wireless door and window sensors? What tools do I need to install my Honeywell home alarm system? When should I use the sticky pads provided instead of the screws when installing my sensor? If the surface where you wish to mount the door and window sensors or motion sensors is smooth, i.e. 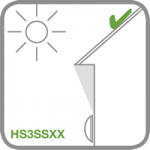 UPVC, wood or painted wall, it is recommended to fit these devices without tools, using the sticky pads provided. Ensure the surface is clean before sticking in position. The sticky pad will provide optimum strength after 24 hours. All my windows and doors are closed, but the door/window open icon on the keypad is lit. What should I do? Open the doors and windows in the Zone indicated by the keypad, wait a few seconds, then close them again. This should reset the 'open/close' status of the doors or windows at the keypad. What should I do when the Contactless tag does not work? You will need to re-link the contactless tag to the keypad. Enter Programming mode by pressing the Programme button followed by entering your PIN code. The keypad will play a melody to indicate success. Hold the tag close to the reader, and the keypad will respond by playing a melody. Press the programme button again to exit Programming mode. What should I do when the LED indicator on a Door and Window sensor flashes when a door or window is opened? 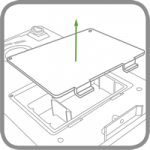 Check and ensure that the battery cover is fitted correctly and firmly. It could be an indication of low battery. Replace the battery. 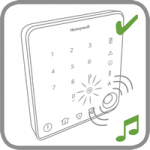 I have a Honeywell Apartment Alarm Kit and Honeywell Home Alarm Kit (keypad-based). How do I replace the batteries on my wireless door and window sensors or indoor wireless motion sensors (PIR)? 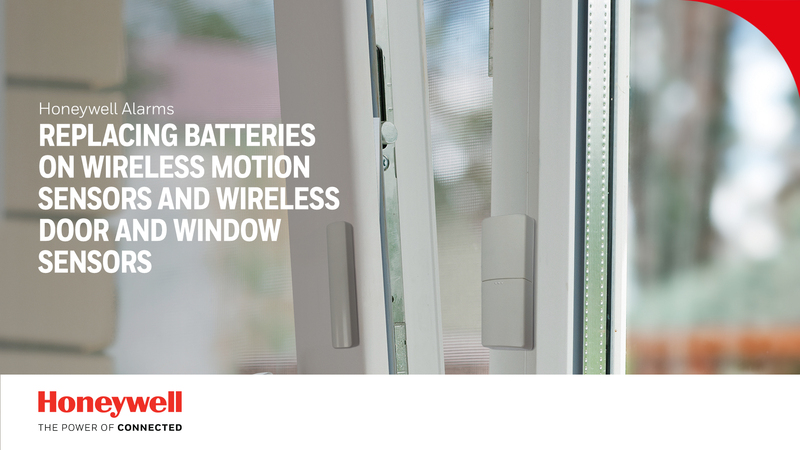 For wireless door and window sensors, remove the battery cover by sliding it down. Replace the battery, ensuring correct polarity and battery type, and close the cover. 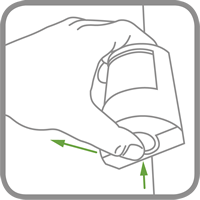 For wireless motion sensors, remove the battery cover by pressing the button at the bottom and pulling it out towards you. Replace the batteries, ensuring correct polarity and battery type, and close the cover. 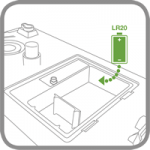 Please note that the sensor will take up to 30 seconds to re-initialise following battery replacement. What should I do if the LED indicator on the wireless Motion sensor flashes when detecting movement? The motion sensor could have been placed in Walk Test Mode. The Walk Test Mode lasts for 5 minutes whenever it has been activated. Wait for 5 minutes then test again. If the problem is not solved by Step 1, then it could be a low battery indication. Replace the batteries. Why is my alarm siren not activating even when multiple sensors have been triggered? 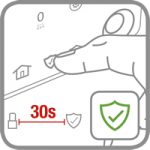 If the alarm has been triggered more than 3 times in a specific Zone, then Zone Lockout could have occurred, which would prevent the alarm from being triggered again by any sensors in that Zone. To reset the zone, you can Disarm the system, and then Arm the system again. The alarm has been triggered, but there is no intruder, or the alarm system is in a ‘Disarmed’ state. What could be the problem? If the system is armed, check the wireless motion sensors. A draught from an open window or ventilation duct could have possibly triggered the alarm. If the system is disarmed, then the Panic Alarm may have been accidentally triggered from the Remote Control Key Fob or Keypad. Ensure the keypad and remote control are out of reach from young children. If you have enabled 'Jamming Detection' mode on the Siren, then the alarm could have been triggered by radio signals from other radio equipment within range operating on the same frequency. I have a Honeywell Quick Start Alarm Kit. The Siren sounds immediately when I arm the system with the remote control. What could be the problem? Check to see that there are no pets or people in the house before trying to arm the system again. 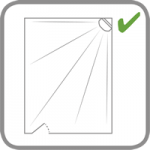 Check to see that there are no draughts coming from an open window or ventilation duct that could affect the wireless motion sensors. My wireless door and window sensor does not indicate a correct open or close status at the keypad. How can I fix this? 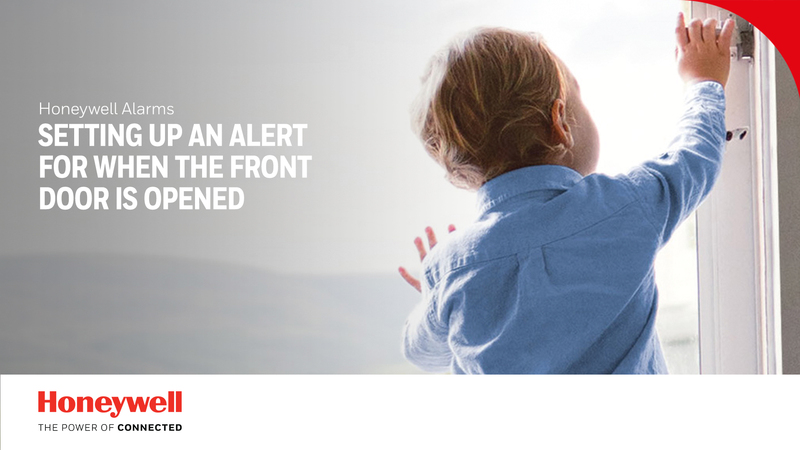 First, open the door or window where the new sensor has been installed, and wait for 2 seconds before closing it. Now you can arm the system. Similarly if that door or window is already open, then close it and wait for 2 seconds or more before arming the system. This will allow the keypad to register the correct status of that sensor and thereafter during ongoing operation. I want to be informed if my front door is opened by my child or elderly relative. How do I set up my Honeywell Alarm System to alert me without triggering the alarm? 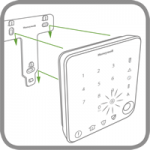 All Zone 1 door and window sensors can provide an alert at the keypad when they are opened. To set this feature enter the test mode menu by pressing the disarm button followed by swiping a contactless tag or entering your PIN code. The keypad will play a melody to indicate success. 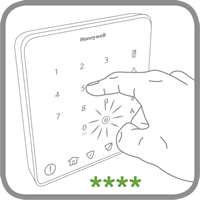 Now press number 7 on the keypad, and the door and window indicator icon will illuminate to confirm the feature has been selected, and an alert sound will be played. How do I link a Honeywell outdoor motion sensor to my Honeywell Apartment Alarm Kit or Home Alarm Kit? 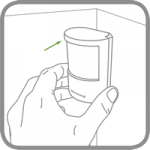 Assuming you have already installed the external motion sensor, trigger it by waving your hand across the detection area or walking past the sensor. The keypad will play a sound to confirm the sensor has been linked. I am trying to link a Siren to my Keypad, but have been unsuccessful. What could be the problem? Check the row of DIP switches under the battery cover at the rear of the Siren. DIP switch 5 should be set to the 'OFF' position. I have a Honeywell Quick Start Alarm Kit (siren-based). Why doesn’t the wireless door and window sensor trigger the alarm? 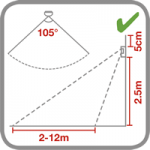 Ensure that the sensor is within effective radio range of the Siren and is not mounted close to metal objects which may interfere with the wireless radio transmission. 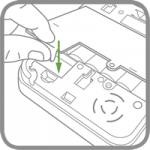 Ensure the battery isolation tab has been removed from the side of the sensor. 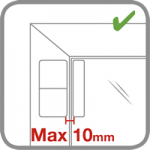 Ensure that the gap between the Magnet and Sensor is no more than than 10mm. Check and replace the battery in the door and window sensor. If the above does not work, you will need to re-link the wireless door and window sensor to the Siren. Check the relevant FAQ or the Instruction Manual on how to do this. Why is the LED indicator on the Remote Control not illuminating when I press a button? Ensure the battery is inserted correctly by checking the polarity. The battery could be flat - replace the battery. The Siren seems to be operational, as the LED indicators are flashing, but it does not produce an alarm. How do I fix this? 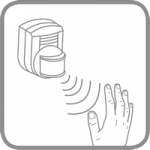 Ensure that the Siren is within effective radio range of the Keypad or other Sensors and is not mounted close to metal objects which may interfere with the wireless radio transmission. The Siren could still be in Service mode. Try switching it to Operating Mode. For detailed instructions on this, see the FAQ above. Check the row of DIP Switches under the battery cover at the rear of the Siren. If you have a keypad, DIP Switch 5 should be set to 'OFF'. If you don't have a keypad, DIP Switch 5 should be set to 'ON'. If all the above does not work, then you may need to re-link the Siren to the keypad, or re-link the remote control key fob to the Siren. Please refer to the appropriate FAQ on how to do this. What should I do when the LED indicators on the Battery Siren (HS3BS1x) are not working? 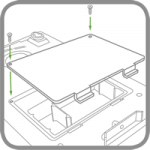 Open the rear battery cover and ensure the battery isolation tab has been removed. The LED indicators should flash together once, then start flashing alternately once every 5 seconds. If Step 1 does not work, check the polarity of the Alkaline batteries. If this works, the LED indicators should flash together once, then start flashing alternately once every 5 seconds. If Step 2 does not work, you may need to replace the batteries. After replacing the batteries, the LED indicators should flash together once, then start flashing alternately once every 5 seconds. The Siren should have now been powered up in Service Mode. You will now need to switch the Siren back into Operating Mode. Exit Service Mode by pressing and holding the 'Disarm' button on your remote control for 5 seconds. The Siren will produce 1 long beep followed 1 second later by 2 short beeps. The Siren LEDs will flash together in conjunction with the beeps. 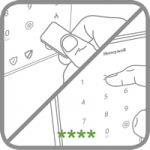 Enter Test mode by pressing the disarm button on the keypad, followed by swiping a contactless tag or entering your PIN code. The keypad will respond by playing a melody. Press the number 9 on the keypad. The siren will produce 1 long beep followed by 2 short beeps to confirm that it is now in Operating mode. Press the disarm button again on the keypad to exit Test mode. The keypad will play a melody once again to confirm. 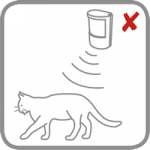 What should I do if the indoor wireless motion sensor is not detecting a person’s movement? For example, when it won’t trigger the alarm? 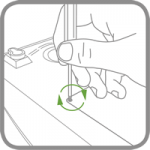 Ensure that the sensor is within effective radio range of the Keypad and is not mounted close to metal objects which may interfere with the wireless radio transmission. 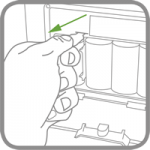 Ensure that the Alkaline batteries are inserted correctly by checking the polarity. 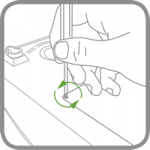 Ensure that the sensor is mounted the correct way up, (i.e. with detection window at top). Ensure that the sensor is mounted at the correct height, (i.e. 2-2.5 metres). 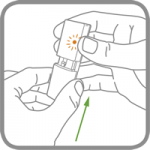 After arming the system, wait for 2 minutes to allow the sensor to stabilise and become fully operational before attempting to test the sensor. If the above does not work, try a walk test. 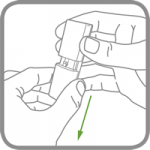 Perform a walk test to ensure the ID of the sensor has been learnt into a zone (1-3). 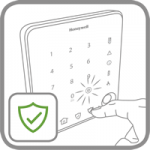 First, clear the area and wait for 2-3 minutes, then enter Test mode on the keypad by pressing the Disarm button on the keypad, followed by swiping a contactless tag or entering your PIN code. The keypad will respond by playing a melody. Now press the number 1 to place the system into Walk Test Mode. Now walk in front of the sensor. If the sensor is linked to the keypad, the keypad will play an alert sound and indicate the Zone number. If not, there will be no response from the keypad, and you will have to re-link the sensor to the keypad. To exit Test mode, press the Disarm button once again. 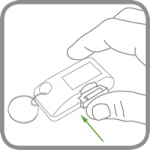 If you discover sensors that are not linked to the keypad, you will need to re-link them. If you have a Siren-based system, you will need to re-link the sensors to the Siren. 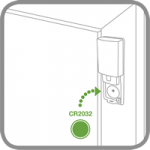 How do I prevent the wireless motion sensors from triggering false alarms? 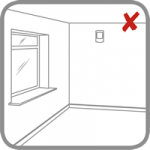 Ensure that the sensor is not pointing at a moving object like an electric fan or moving curtains. 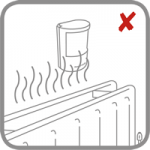 Ensure that the sensor is not mounted above a radiator, heater or fireplace. 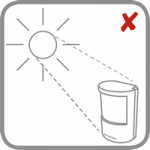 Ensure that the sensor is not facing a window or in direct sunlight. Ensure that the sensor is not in a draughty area. Ensure no pets are in the room. 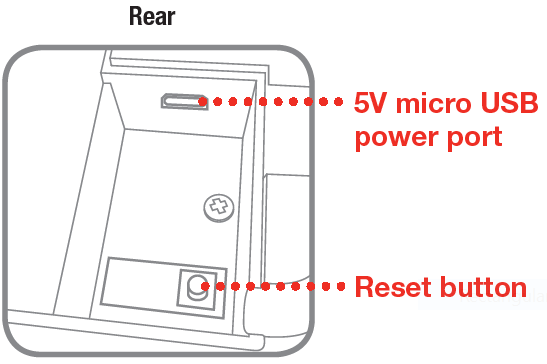 Ensure that the motion sensor is fitted securely to the rear battery cover. How do I prevent the wireless door and window sensors from triggering false alarms? 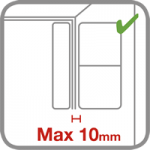 Ensure that the gap between Magnet and sensor is no more than than 10mm. Check that the battery cover is fitted correctly, and that the plastic tab on the battery cover is not broken. 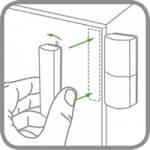 When the battery cover is closed, this tab ensures that the Tamper switch inside the sensor is depressed, thus preventing false alarms from triggering. I have a Honeywell Quick Start Alarm Kit (siren-based). How do I replace the batteries on my wireless door and window sensors or indoor wireless motion sensors (PIR)? 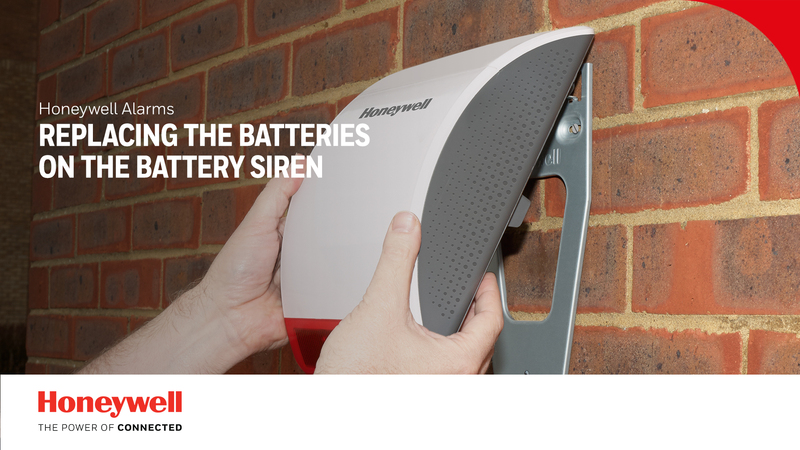 Place the Siren into Service Mode by pressing and holding the 'Disarm' button on your remote control for 5 seconds. The Siren will produce 2 short beeps followed 1 second later by a single long beep. The Siren LEDs will flash together in conjunction with the beeps. How do I re-link an existing wireless door and window sensor or indoor wireless motion sensor (PIR) to my Honeywell Apartment Alarm Kit or Home Alarm Kit? Or how do I link additional sensors? Select a Zone number 1 - 3 that you want to link the sensor to. 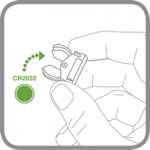 To link a new wireless motion sensor, either remove the battery isolation tab from the sensor, or push the tamper button, located inside the battery compartment on the back of the sensor. 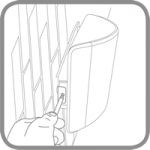 To link a new wireless door and window sensor, either remove the battery isolation tab from the sensor, or slide open and close the battery cover. 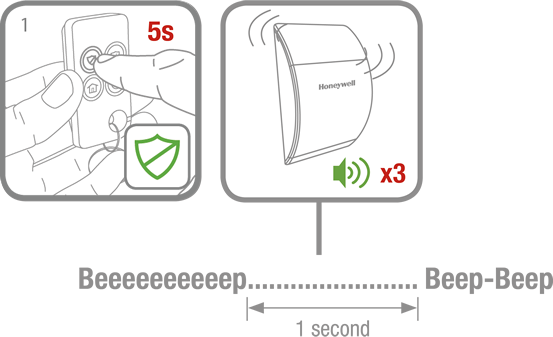 If the sensor is already linked to the keypad, the keypad will play an alert sound. If the sensor has been successfully linked to the keypad, the keypad will play a melody. Why does the keypad not alert me immediately that a Zone 2 or 3 door/window has been left open when I try to arm the system using the keypad? Or why does the wireless door and window sensor not trigger the alarm? 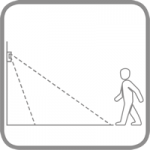 Perform a walk test to ensure the ID of the sensor has been learnt into a zone (1-3). 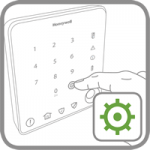 First, enter Test mode on the keypad by pressing the Disarm (insert icon) button on the keypad, followed by swiping a contactless tag or entering your PIN code. The keypad will respond by playing a melody. Now press the number 1, then walk around and open and close any windows or doors that you want to test. 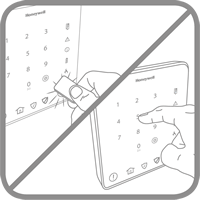 If the sensors are linked to the keypad, the keypad will play an alert sound and indicate the Zone number. If not, there will be no response from the keypad, and you will have to re-link the sensor to the keypad. To exit Test mode, press the Disarm button once again. 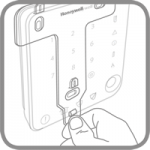 If you discover sensors that are not linked to the keypad, you will need to re-link them. Why does the keypad not alert me immediately that a Zone 1 door/window has been left open when I try to arm the system using the keypad? 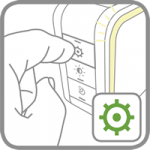 All wireless door and window contact sensors in Zone 1 have a 5 minute delay before alerting the keypad that they have been left open. 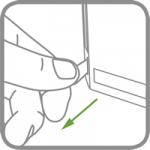 Typically when a family of 2 or more occupants leave the home, the first occupant will open the door to exit and then leaves the door open until the last occupant presses the 'Arm' button , which starts the 30 second countdown, before closing the front door. The 5 minutes will give enough time for all occupants to exit the home via the front door. 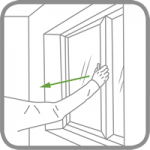 Therefore if you have opened a window or another door in Zone 1 less than 5 minutes before pressing the 'Arm' button , the system will not alert you, and will continue to arm itself. 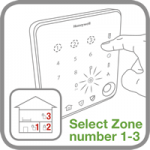 Zones 2 and 3 however are instant and will alert you instantly if any doors/windows have been left open when you press the 'Arm' button on the keypad. 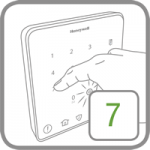 When I press the ‘Arm’ or ‘At Home Zoning Mode’ button on the keypad, the keypad plays an alert sound, and the Open Door Window Sensor LED lights up, along with a Zone number (1-3). What should I do? This means that a door or window in that zone has been left open. 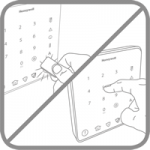 If you wish to leave the door/window(s) open then you can force arm the system by pressing Arm /Home button on the keypad a second time. Otherwise please first go and close the relevent door/window(s) before continuing to arm the system by pressing the Arm /Home button on the keypad. What should I do when the Keypad not responding to the Remote Control key fob? Batteries isolation tabs on the keypad and remote control have been removed. Batteries in both the keypad and remote control are not flat. Remote Control is within effective wireless range of the keypad. Press the 'Disarm' button on the remote control, and the keypad will play a melody to indicate success. What should I do when there is power to the Keypad, but the buttons do not respond? Remove the batteries from the keypad and re-install them after 5 seconds. Note: Before the keypad is removed from the wall, wear suitable ear defenders in case an alarm is triggered. What should I do when the keypad is not working /functioning? 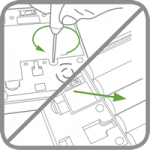 Ensure keypad is powered up by removing the 2 battery isolation tabs from the rear of the battery cover. Ensure that you are wearing ear defenders in case the alarm is triggered. If this is successful, the keypad will produce 2 beeps. Ensure the batteries are inserted correctly by checking the polarity. If you are using an optional micro USB power adaptor, check the adaptor is plugged into the micro USB port located in the battery compartment and socket is switched ON. Note: Before replacing any fuses or resetting the MCB, the cause of the failure should be investigated and rectified. I have a Honeywell Quick Start Alarm Kit (Siren-based alarm). How do I link additional sensors to the Siren using the remote control key fob? Or how do I re-link existing sensors? 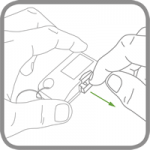 Place the Siren into Learn Mode by pressing and holding the 'Arm' button on your remote control for 5 seconds. The Siren will emit a single short beep and both the Comfort LEDs and the Learn LED will flash together slowly once every 2 seconds. The Siren will remain in Learn Mode for 30 seconds. I have a Honeywell Quick Start Alarm Kit (Siren-based alarm), and none of the Remote Controls are linked. How do I link the remote control key fob to the Siren? Locate the 'LEARN' button inside the battery compartment of the Siren. The Siren will respond by beeping. I have a Honeywell Quick Start Alarm Kit (Siren-based alarm). The Siren has power (flashing LEDs) but will not respond to the remote control. How do I fix this? 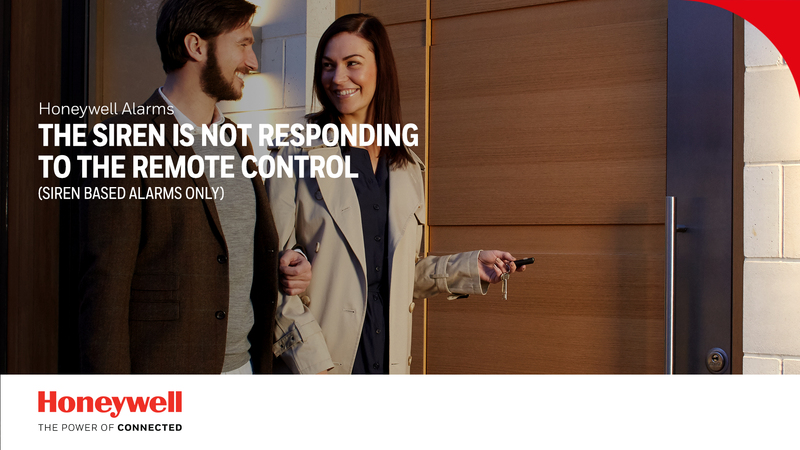 Press and hold the 'Disarm' button on your remote control key fob for 5 seconds. 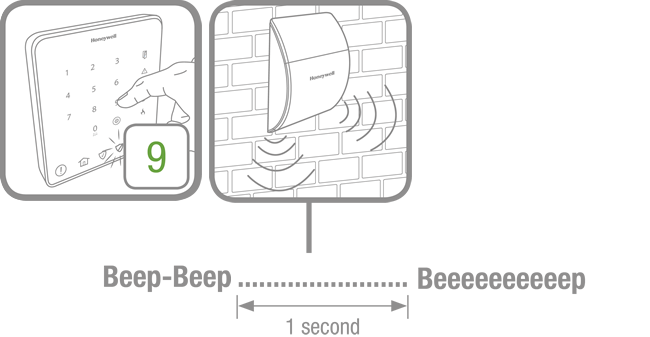 The siren should produce a single long beep followed 1 second later by two short beeps. The Siren LEDs will flash together in conjunction with the beeps. If the Siren still does not respond, check to see if the Remote Control or Siren batteries are low. Otherwise, the remote control may need to be re-linked to the Siren. 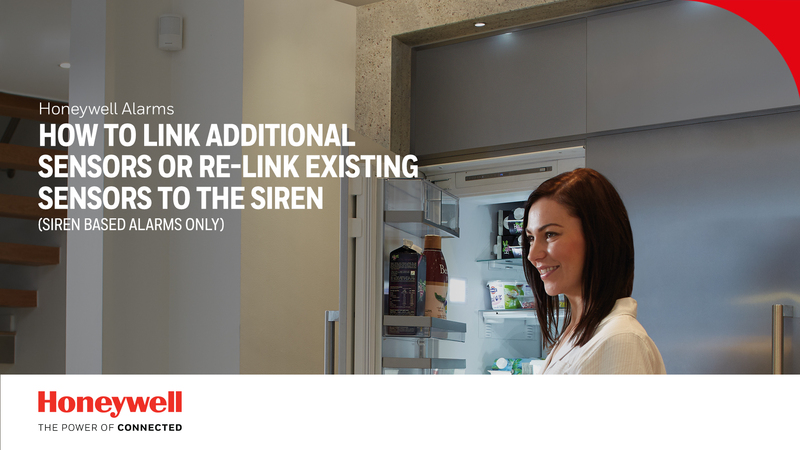 The Siren is not sounding the alarm when the keypad alarm is triggered in the home. The LED indicators on the Siren are flashing, so I know that there is still battery power. What could be wrong? The Siren could be in Service mode. Check to see if the Siren is in Service mode. 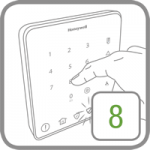 First, enter Test mode on the keypad by pressing the disarm button on the keypad, followed by swiping a contactless tag or entering your PIN code. The keypad will respond by playing a melody. Now press the number 8 on the Keypad. 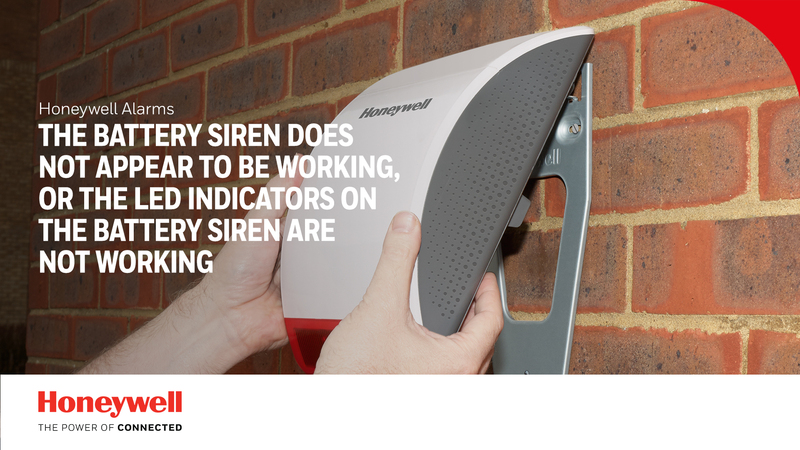 If the Siren does not respond, it means that it is still in Service mode. Now press number 9 on the Keypad. The siren will produce 1 long beep followed by 2 short beeps to confirm that it is now in Operating mode. Press the disarm button again on the keypad to exit Test mode. The keypad will play a melody once again to confirm. If the above does not work, the Siren has not been linked to the Keypad. Remove the battery cover on the rear of the Siren and locate the row of dip switches. Ensure that dip switch 5 is set to the OFF position as shown in the diagram. Locate the Learn button on the back of the Siren as shown in the diagram. Press and hold the Learn button for 5 seconds until the Siren emits a short beep and the indicator LEDs start flashing. Within 30 seconds, press the 'Arm' button on the keypad. 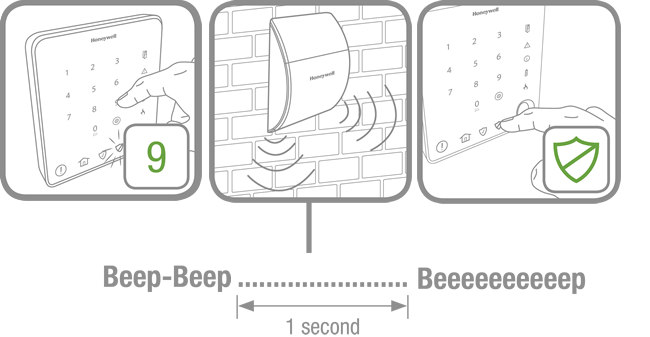 The Siren will produce 2 short beeps to confirm that it is now linked to the Keypad. Press the Programme button on the keypad once more to exit Programming mode. The keypad will play a melody to indicate success. How do I link a Honeywell wireless siren to my Honeywell Apartment Alarm Kit or Home Alarm Kit? Locate the Learn button on the rear of the Siren, to the left of the row of dip switches. Press and hold for 5 seconds. The siren will beep once to indicate it is in Learn mode, and the LEDs will start flashing. Press the Arm button on the keypad within 30 seconds. The siren will confirm that it has been linked to the keypad by producing a series of beeps. What replacement batteries do I need for my system? For AA, AAA & D type batteries, it is recommended to use alkaline type batteries, because this type has a more stable voltage, and lasts longer than the lower cost zinc-carbon type. For an approximately 10% increase in battery life, you can also use Lithium batteries. How do I change the batteries on the Battery Siren? 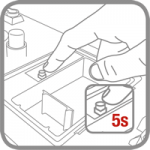 If the battery is not completely drained, using any linked Remote Control, first place the Siren into Service mode by pressing and holding the disarm button for 5 seconds. The siren will produce 2 short beeps followed by 1 long beep to confirm that it is now in Service mode. Loosen the lower screw and take the Siren off the wall. 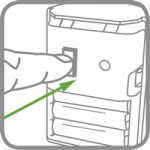 Loosen the two screws and open the battery compartment. 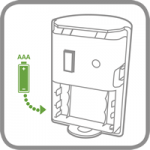 Replace the batteries, refit the battery cover, tighten the screws and replace the Siren onto the wall, making sure to tighten the lower screw. Place the siren back into Operating mode by pressing and holding the disarm button again for 5 seconds. The siren will produce 1 long beep followed by 2 short beeps to confirm that it is now in Operating mode. Now press the number 8 on the keypad. The siren will produce 2 short beeps followed by 1 long beep to confirm that it is now in Service mode. How do I change the batteries on the Keypad? Remove the Keypad from the wall bracket by pushing it up and towards you. Unscrew the battery cover and replace the batteries, ensuring the polarity is correct. Replace the battery cover and secure the Keypad on the wall bracket. 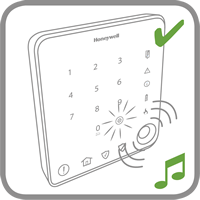 Note: If the Tamper alarm is triggered when refitting the Keypad to the wall, then press the 'Disarm' button followed by entering the PIN code or using a Contactless Tag to silence the alarm. The batteries in my keypad seem to be draining at a very fast rate. 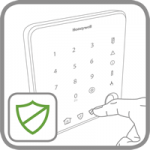 The expected battery life for the Keypad is typically 12 months, based on arming and disarming the system 3 times a day and triggering an alarm once per month. However if a substantial amount of programming/operation is performed using battery power, this will reduce the battery life. It is advisable to use a micro USB adaptor to power the device during substantial programming, setup or operation. A typical 5V micro USB power adaptor such as a phone charger is compatible. Note: the connector is located inside the battery compartment. If I use an optional 5V micro USB adaptor to power my keypad, what happens to the batteries in the keypad? The batteries in the keypad will act as back up power in the event of a mains power failure. What maintenance does the Solar Siren require? 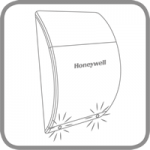 Honeywell Home recommmends that you clean the solar panel using a soft, damp cloth once every 6 months to ensure the solar panel maintains a good charging performance. Do not use abrasive, solvent‐based or aerosol cleaners. How do I change the batteries on the internal wireless motion sensors or wireless door and window sensors? 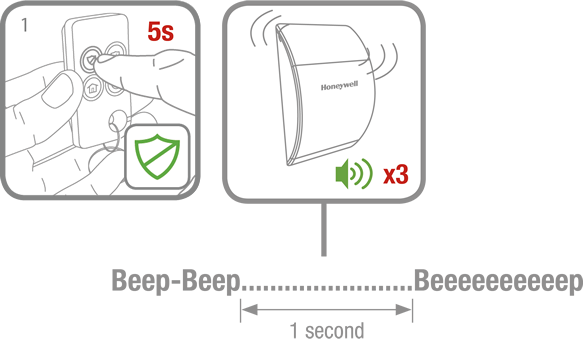 For all Quick Start alarm kits (Siren based alarm kits), using any linked Remote Control, first place the Siren into Service mode by pressing and holding the disarm button for 5 seconds. The siren will produce 2 short beeps followed by 1 long beep to confirm that it is now in Service mode. You can now remove the battery cover from the wireless motion sensor or door and window sensor. Replace the batteries. For more details, refer to page 18 and 19 of the instruction manual for 'Siren Alarm Kits' from the Downloads section below. 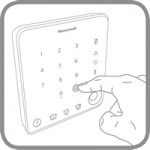 For all Keypad based alarm kits, enter Programming mode by pressing the Programme button followed by swiping a contactless tag or entering your PIN code. The keypad will play a melody to indicate success. 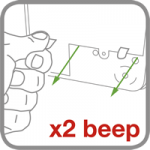 For more details, refer pages 30 - 32 of the instruction manual for "Keypad Alarm Kits" from the Downloads section below. Door and window sensors - The LED on the sensor will flash x3 when opening the door/window. Motion sensors - The LED in the window of the sensor will flash x3 after detecting a person's movement. Remote control - The LED will flash x3 after pressing any button. Keypad - The low battery indicator icon will illuminate. 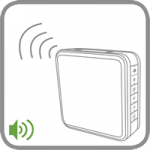 Battery Siren - For Siren alarm kits or when in Control Unit mode, the Siren will produce 3 beeps after the disarm button is pressed. When the Siren is in Siren mode, the batteries will need replacing when the comfort LEDs stop flashing. 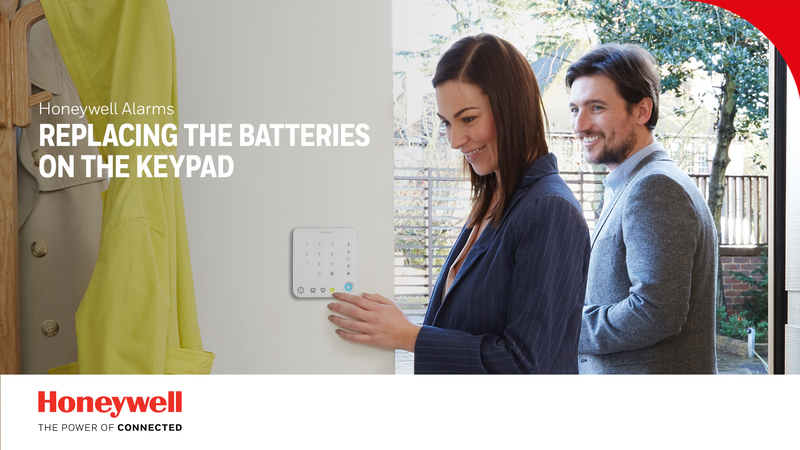 Typical household batteries should last up to 12 months for the keypad and 18-24 months for all other devices.